﻿ Book Corosol Apartments (Roseau) - 2019 PRICES FROM $83! Corosol Apartments is located a 2-minute drive from Canefield Airport and a 20-minute drive from Mero Beach. It features an extensive garden, a terrace and free Wi-Fi throughout. 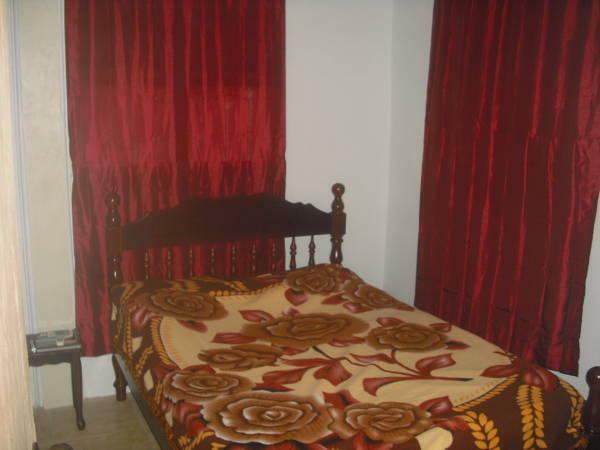 The apartments include modern décor, a desk, fan, sitting area, washing machine and TV. The kitchens have a coffee maker, dining area, fridge and stove and the bathrooms with a shower are private. A variety of food places are located just over half a mile from Corosol Apartments. There are also shopping malls, restaurants and bars in the center of Roseau, just a 7-minute drive away. This property can also arrange activities as hiking and has a playground. These apartments are 3.5 miles from the Windsor Park and a 10-minute drive from the Dominica Botanical Gardens. Laundry service and an airport shuttle are available for an extra fee.